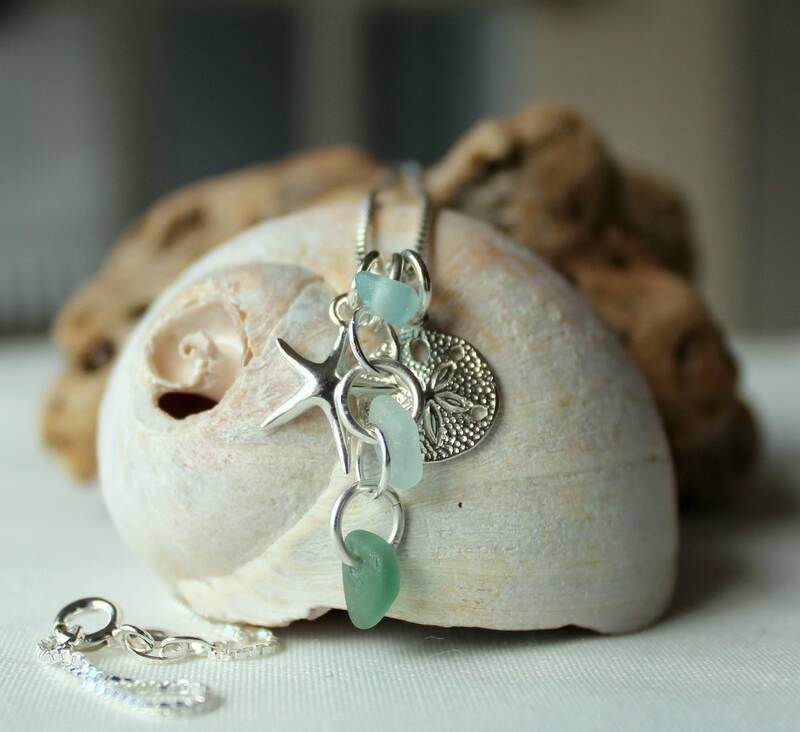 Our Ocean sea glass cluster necklace evokes your favourite beach days spent gathering sea shells, carry a little bit of that feeling every day! 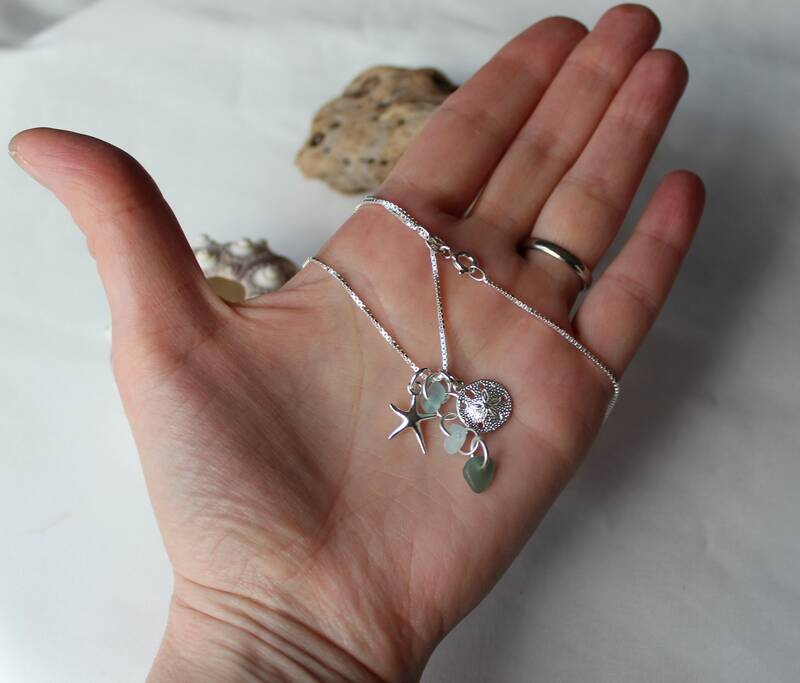 This versatile cluster necklace is crafted with three little drops of genuine sea glass in soft aqua, white and olive, dangling between a sterling silver starfish and sand dollar. 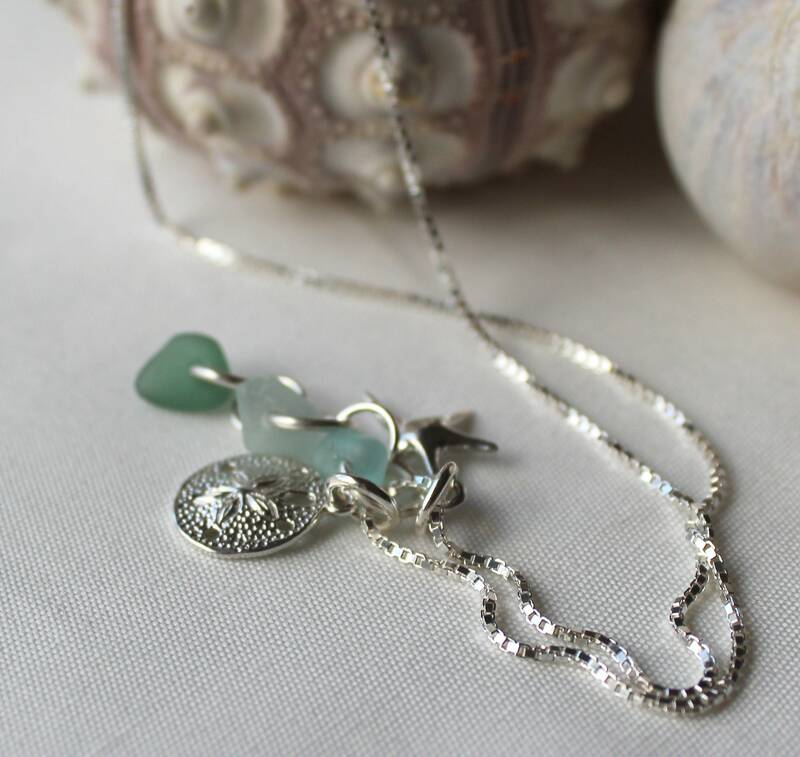 The necklace is mix and match- the pendants may be worn separately, two at a time, or all three together for different looks. 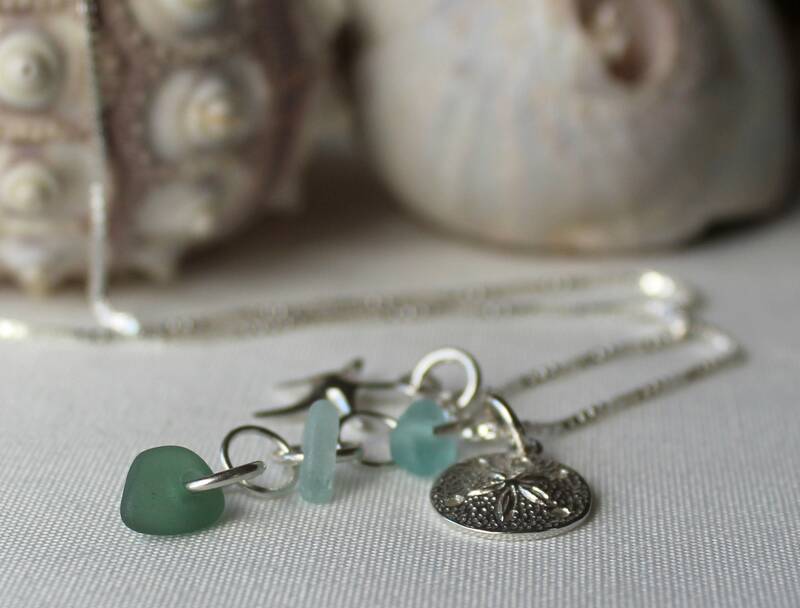 Choose your sterling silver chain length at checkout so that you can wear your necklace just where you like it! 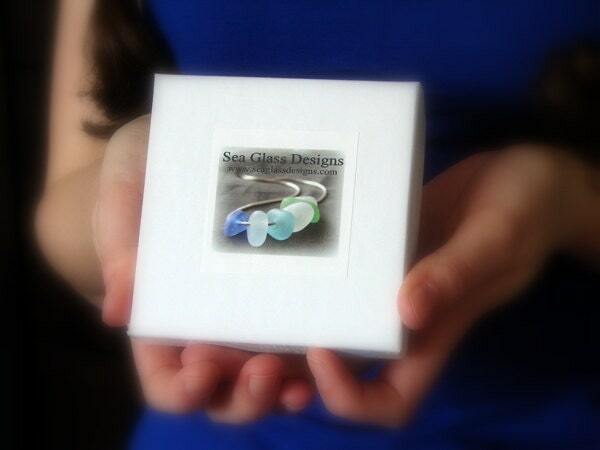 Your necklace will arrive boxed, with the Sea Glass Story on the inside lid, ready for gift giving. 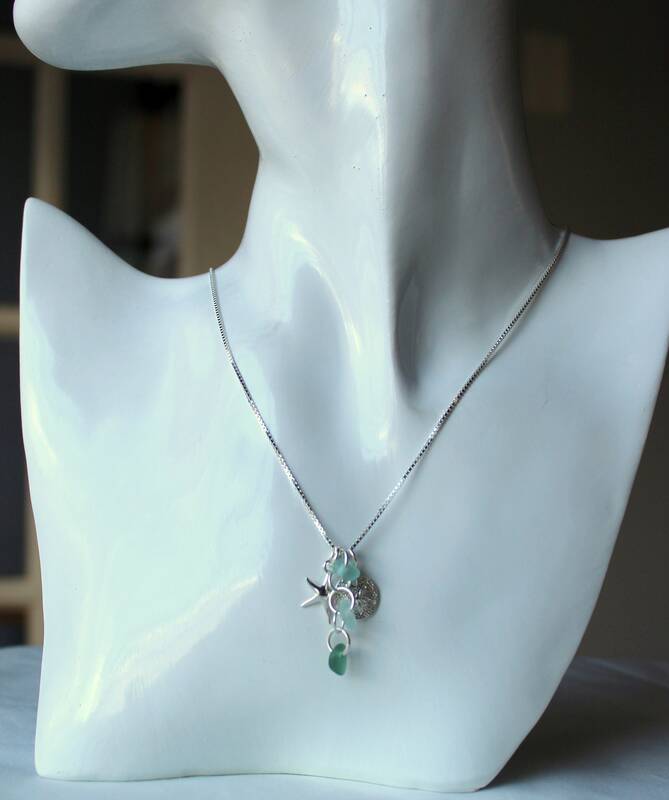 Your order will include a silver polishing cloth to keep your necklace looking new. 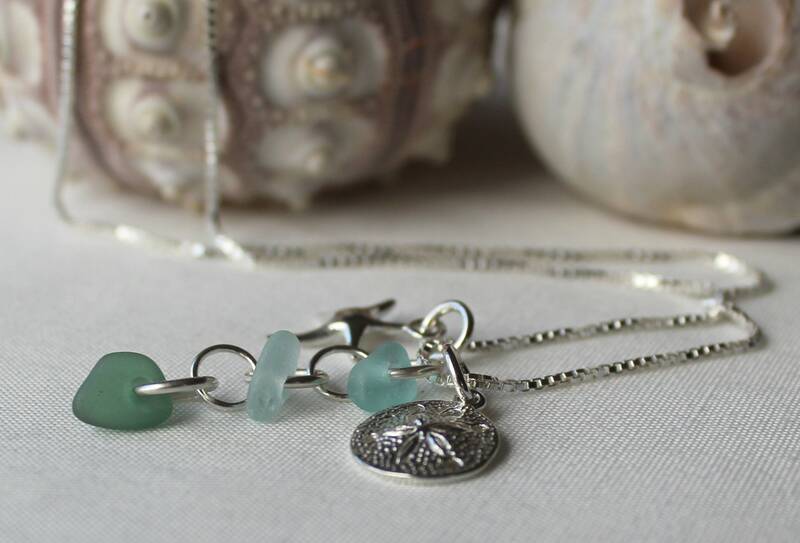 ~ The sea glass pendant is approximately 1 inch (2.5 cm) in length. 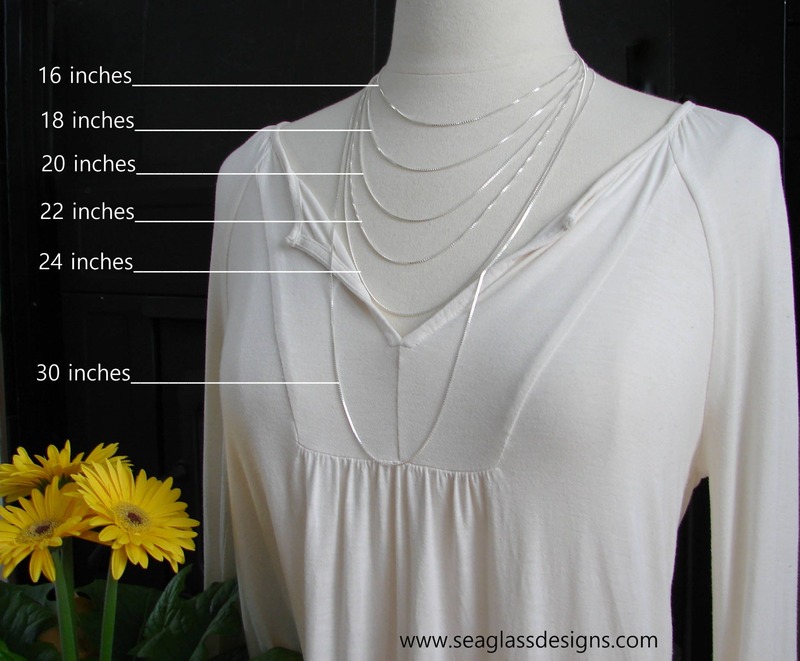 See 7th photo to help visualize the size of the pendants. 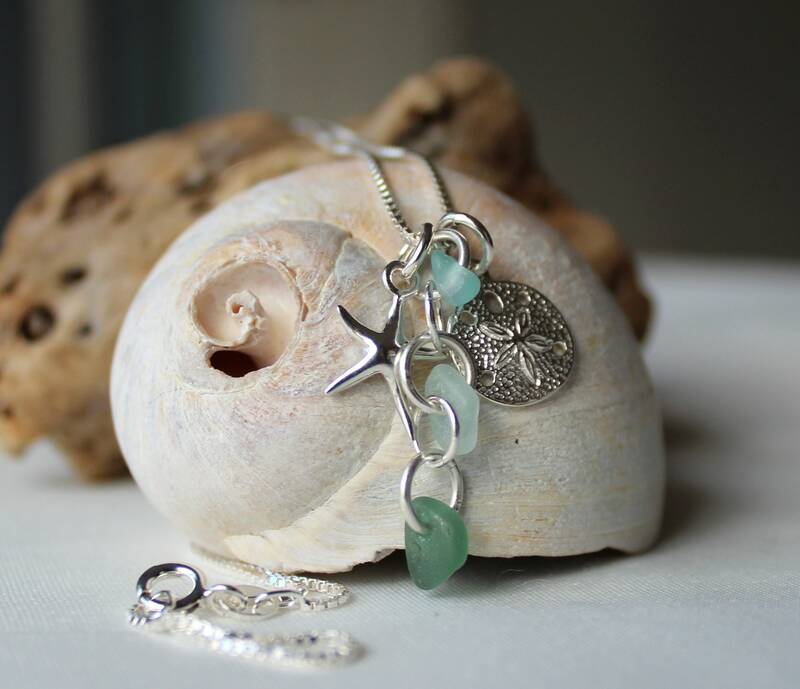 These pieces are beautiful! 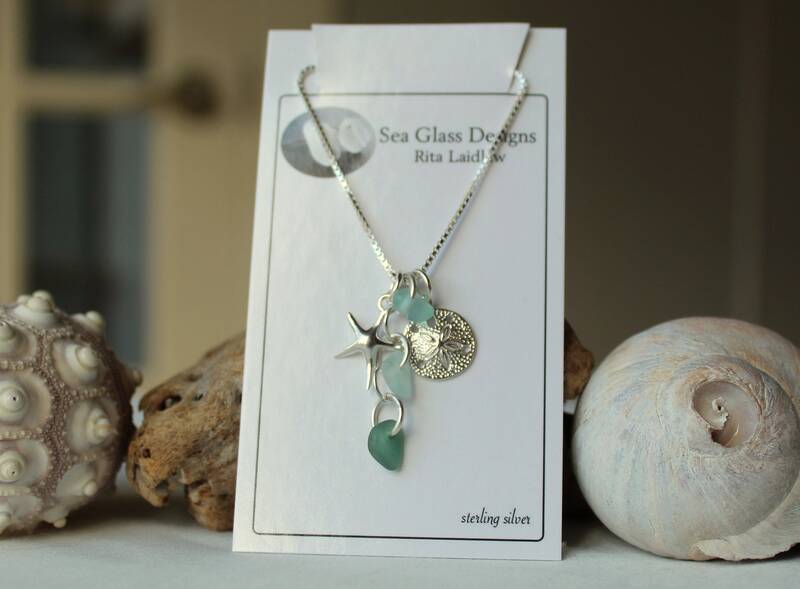 The pics don't really show how pretty that they are in person! Love them both! Thanks!